The decision has been taken after Jammu and Kashmir Governor Satya Pal Malik sent a report to the central government recommending imposition of President's rule in the state. The centre is learnt to have recommended imposition of President's rule in Jammu and Kashmir after the expiry of six-months of Governor's rule on December 19. 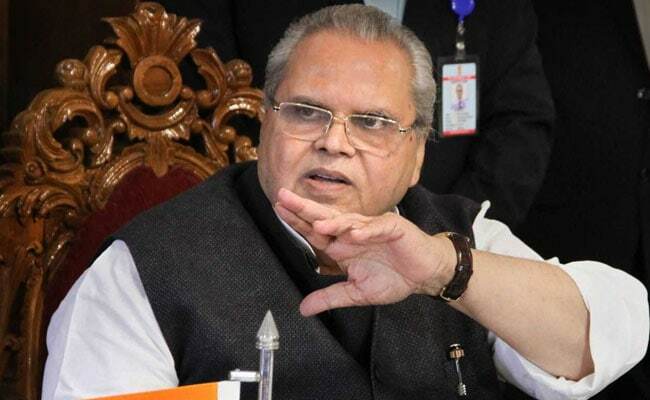 The decision has been taken after Jammu and Kashmir Governor Satya Pal Malik sent a report to the central government recommending imposition of President's rule in the state, officials said on Monday. The union cabinet has cleared the proposal to impose President's rule in Jammu and Kashmir from December 19, an official privy to the development said. A communication from the governor's office was sent to the Union Home Ministry which moved the union cabinet with the proposal for its nod. Now, President Ram Nath Kovind will issue a proclamation declaring that the powers of the Legislature of the state shall be exercisable by or under the authority of Parliament, another official said. Since the state has a separate Constitution, in such cases, six months of governor's rule is compulsory under Article 92 of the Jammu and Kashmir Constitution, under which all the legislature powers are vested with the governor. The governor has to dissolve the Legislative Assembly after the tenure of six months is over and the state will directly come under the President's rule for following six months during which elections have to be declared in state. Since the state does not come under President's rule under Article 356 of the Constitution and is promulgated under Section 92 of the state Constitution, all the decisions taken thereof shall have a concurrence of the President under Article 74 (1)(i) under which council of Ministers with the Prime Minister at the head will aid and advise the President. Simultaneously, the two-member People's Conference led by Sajjad Lone had also staked claim to form a government with 25 members of the BJP and other 18 unknown members.